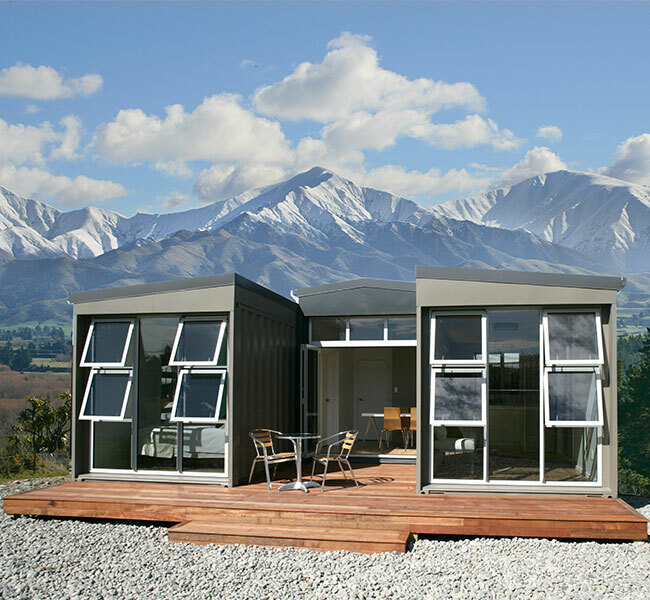 This beautifully modern container home has the perfect backdrop – our very own mountains. Made by Container Housing Solutions in Christchurch, it’s got a 45 sq m area in total and features lounge and dining areas, as well as a kitchen, bathroom and 2 bedrooms! It also has optional features like a deck – and many modern, flexible design features. And who wouldn’t love the functionality that a shipping container provides? Fully transportable, it’s the perfect home for difficult to get to sites, with a small footprint for the environmentally conscious. The massive structural strength is taken by the shipping container foundation and used to build an inexpensive version of a beautiful home to traditional building – in less time! 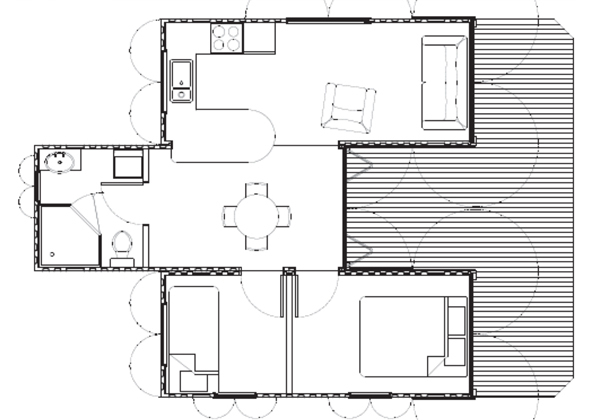 This particular house is made up of 3 shipping containers that have been placed together, as you can see in the diagram below, they have excellent amounts of space to feel totally comfortable living there. So if you’re looking to live in a gorgeous location, why not try a container home?